But, in between scenes, I’ve been catching up on blogs from the week, and I ran across the below video blog from one of my absolute faves, made of awesome young adult author John Green. 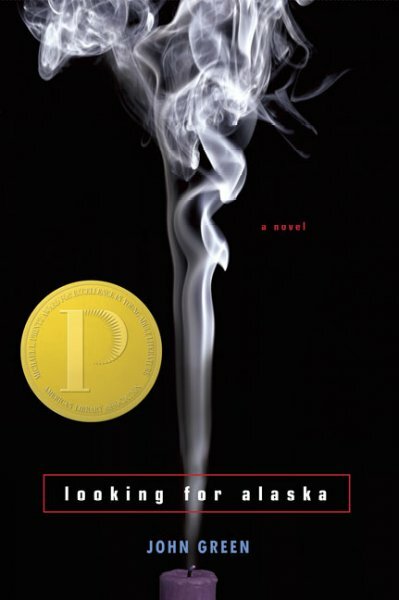 In it, he discusses the evolution of his Printz-Award-winning debut novel, Looking for Alaska—and how many of the best-loved parts of the book came out in revisions. *After* being accepted by an editor. So interesting!! He also talks about all the ways a ton of people helped give him ideas for the book. Even the title (which is something I’ve been struggling with)! Makes me feel like I’m on the right track with my own writing—and a little less intimidated as I finish my pre-query revisions. « If You Missed the WB Live Chat on Query and Agent-Related Support . . . This is exciting! Yes, I loved hearing that so much of the book came from other readers and editors and agents and how a lot of the revisions came about after being accepted. Although I know I must polish my work as best I can before sending it to an agent, I can’t let myself stop there and never send it out–especially because I know that so much of what makes a publishsed book really sizzle happens after the acceptance. Cool stuff. I loved the interview. Thanks for sharing! It makes me breathe easier — that’s for sure! Glad you liked it! God, I love him. He’s truly my hero. What a great video! I hadn’t seen this one. But so spot on!! I think I always felt kind of bad because I couldn’t just sit down and write a story start to finish and have it be good. I just thought that’s how it was done. I grew up thinking “revision” meant grammar and punctuation, not wholesale chopping and revisioning. John Green is such a breath of hollowed air. I know — same for me! I love hearing the “inside scoop” on authors and how their books came to be. My friend Alison & I were freaking out over our recently finished MSS, and she said, “Do you think John Green, Scott Westerfeld, Lauren Myracle, and E. Lockhart had conversations like this?” Hee. If they did, you’d never know it now! !